Here’s a little treat for you, the Backstreet Boys isn’t the only boy band to have made a vampire themed music video. Giving your band members fangs is quite popular way to make the band even sexier. 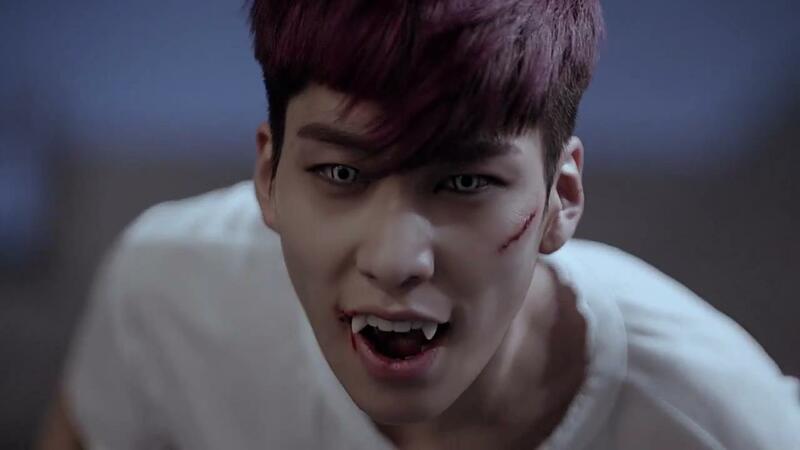 Here are a few K-pop videos featuring vampires singing and dancing in well choreographed moves. Vampire boy bands is not a new thing, Fall Out Boy and the Phixx did it years ago. The band Boyfriend became vampires for their song Witch. In the video the boys are bewitched by this girl. Yeah, confusing. Former boy band singer Kim Jaejoong became a vampire in his first solo video, “Mine”. About halfway through he suddenly has fangs and ends up sporting angel wings towards the end of the video. Previous story Halloween is coming… are you ready?